Neutral (mushroom) is smart! It will last you for years! But 5 hours to hang the hardware? 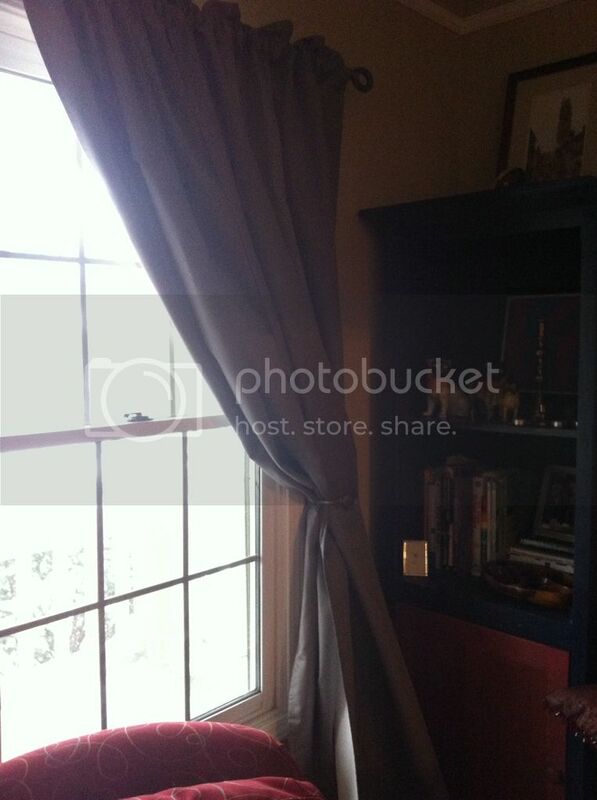 Pinterest has some easy tips on hanging curtain rods (for next time!). I'm sure the party was worth the effort! Speaking as non-home stager, I think your house would have been filled with love no matter what was adoring the windows. Oh, and stop cussing, would ya? Momza -- It might not have been exactly 5 hours. It just felt like it. Kimmy -- You crack me up! The next time your kids come to Indiana, you really must come with them so we can meet up.